In collaboration with the United Nations, Glug –the international movement with creative events in 13 cities around the world– aimed to celebrate and raise awareness around Development Goals from a creative point of view. They brought together a selection of 17 designers from around the world to each voice their hopes and thoughts through a poster. We were given goal number three, Good health and well–being. 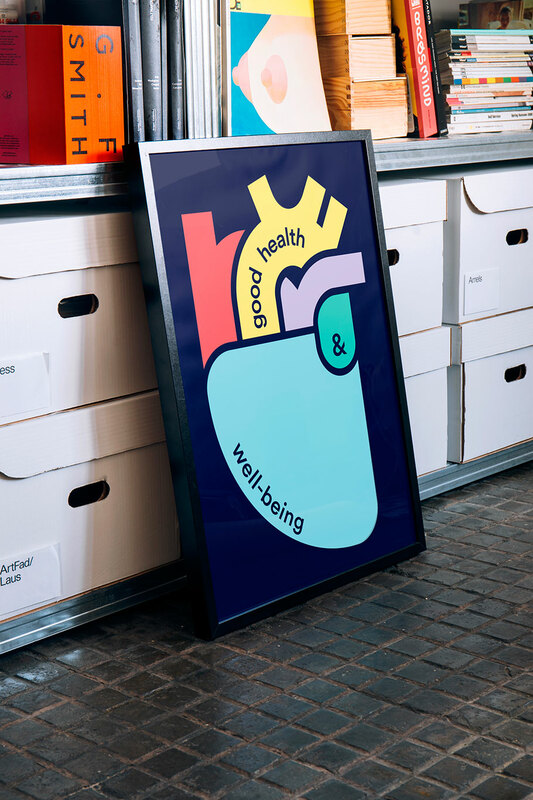 Our poster symbolises health by illustrating a vibrant, coloured, and broken up human heart. One of the most important things in life is being healthy and feeling well; and this is normally a synonym of happiness. 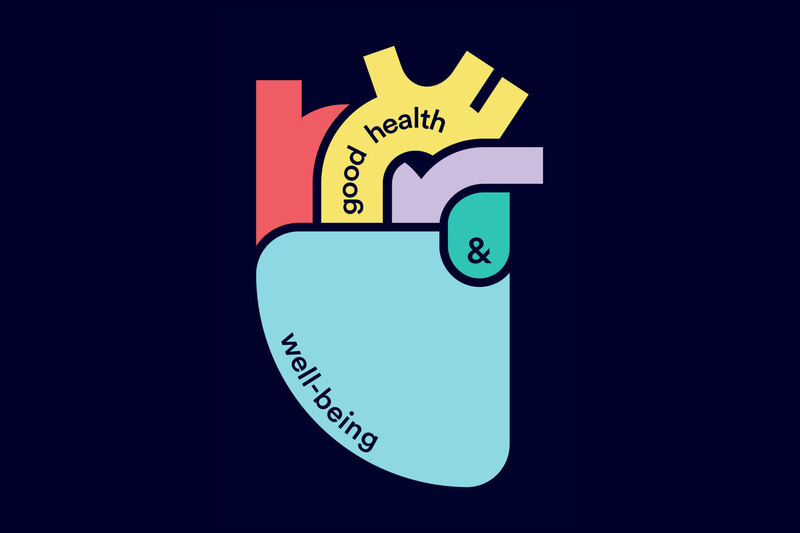 Furthermore, the different pieces, which together form the heart, represent the numerous things that should be considered vital for guaranteeing a healthy life. 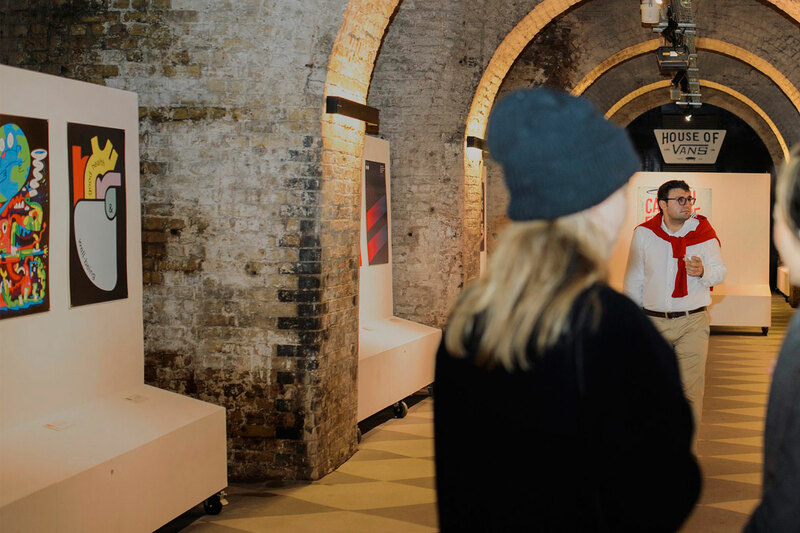 The poster was part of an exhibition launched in London and the initiative was then taken to Global Goal’s HQ and their dinner reception held in early in 2016.